David Schertler is widely recognized as one of the top white–collar criminal defense attorneys in the Washington area and nationwide. 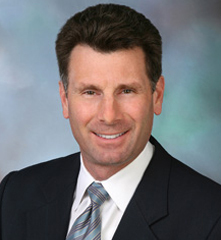 He founded Schertler & Onorato, LLP, in 1996 and has built the firm’s reputation as a premier litigation boutique through his broad experience with criminal and civil investigative and trial matters and the results that he has achieved for his clients. Mr. Schertler is known for his skilled and tenacious representation of individuals and entities in criminal and civil investigations covering a wide range of substantive areas and conducted throughout the United States and abroad. These representations have included such high–profile matters as the KPMG tax shelter investigation in New York City; the Enron, Worldcom, and AOL financial fraud investigations; the criminal investigation and prosecution of Blackwater security guards for events occurring during the Iraq war; the Foreign Corrupt Practices Act (FCPA) “Africa Sting” prosecution dismissed by the government after consecutive trials resulted in no convictions; and the Teamsters’ corruption investigation in New York City. Mr. Schertler also has represented clients in connection with criminal and civil antitrust investigations in the United States, Asia, and South America, financial and securities investigations in the United States and Europe, and FCPA investigations worldwide. Mr. Schertler’s practice has included investigative and trial matters involving such diverse legal areas as bribery and gratuities law, mail and wire fraud, honest services fraud, federal procurement regulations, campaign finance law, conflict of interest, health care fraud, money laundering, environmental crimes, securities and tax laws, and false statements and perjury. Mr. Schertler regularly represents clients in hearings and depositions before Congressional committees and in internal investigations conducted by a range of federal agencies, including the Securities and Exchange Commission, the Federal Election Commission, the Department of Defense, and the General Services Administration. Achieving an acquittal of a securities lawyer in a multi–codefendant conspiracy and fraud prosecution in federal court in North Carolina. Obtaining a probationary sentence for a client in connection with a bribery and procurement fraud case prosecuted by the Public Integrity Section of the Justice Department in federal court in Utah. Achieving an acquittal of a police officer charged with obstruction of justice in federal court in the District of Columbia. Achieving an acquittal of a business executive in a civil case brought by the Securities and Exchange Commission in federal court in the District of Columbia for alleged violations of the securities laws. Achieving an acquittal of an individual charged in a high–profile conspiracy, obstruction of justice, and evidence tampering case in the Superior Court of the District of Columbia. Mr. Schertler’s skills as a white–collar criminal defense attorney and litigator have earned him many honors. He is a Fellow in the American College of Trial Lawyers, an elite organization of the country’s leading trial lawyers. He is ranked in Chambers USA and has repeatedly been named one of the “Top 30 Lawyers” in Washington, D.C., by Washingtonian magazine. He has been recognized in consecutive years as a leading white–collar practitioner in Washington and nationwide by “Super Lawyers,” “The Best Lawyers in America,” and the “International Who’s Who of Business Lawyers,” among other publications. Mr. Schertler also frequently appears at conferences and on panels addressing current legal issues in the white–collar criminal field. Mr. Schertler grew up in Chicago, Illinois and is a graduate of Amherst College and the University of Virginia Law School. Mr. Schertler began his legal career in the Honors Program at the United States Department of Justice, where he served as a trial attorney in the Antitrust Division. In 1984, Mr. Schertler became an Assistant United States Attorney for the District of Columbia. As a federal criminal prosecutor, Mr. Schertler tried more than 50 cases in the local and federal courts, conducted over 100 grand jury investigations, and argued more than a dozen appeals. Mr. Schertler earned a reputation as one of the most highly skilled trial attorneys in the United States Attorney’s Office. In 1989, he received the prestigious “Outstanding Advocate Award” given to one Assistant United States Attorney each year who has exhibited exceptional skills as a courtroom advocate. From 1992 until 1996, Mr. Schertler served as Chief of the Homicide Section of the United States Attorney ’s Office, where he supervised 30 seasoned prosecutors in investigating and trying some of the most publicized and challenging criminal cases in Washington, D.C.